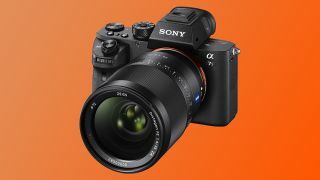 Sony has been on a roll updating its mirrorless full frame camera lineup with the a7 Mark II and a7R Mark II, and so it seems natural that the Sony a7S Mark II is here at long last. While the a7S Mark II sticks with a 12.2MP sensor, Sony has added 5-axis in-body image stabilization to the new. The added stabilization should help photographers take steady images in low light conditions when an ISO sensitivity of 409,600 can't cut it. The a7S Mark II can finally record 4K video all on its own unlike its predecessor, which required an external recorder to push Ultra HD footage too. Sony also touts the a7S Mark II can record 3,840 x 2,160 resolution footage with a full pixel readout (which samples and refreshes pixels more often) and no pixel binding. Aside from recording 4K video, the new camera can also shoot record 1080p video at 120fps but only if you've slotted in an UHS Class 3 SD card. There's also the option of shooting Full HD footage at 24p and 30p. Sony has also fitted the Mark II version with a new 169 point autofocus system, BIONZ X image processor. Current Sony a7 will also notice an increased the viewfinder magnification, which has jumped from a factor of 0.71x to 0.78x. The Sony a7S Mark II will be available for about $3,000, final pricing has yet to be decided, later this October. Stay tuned for our hands on review.